Swift has a significant share of the cross-border payments market. Almost all the banks and financial institutions use Swift to transfer money globally. Ripple (XRP) might offer faster products, but it is gaining market share at a slower pace. Up until now, swift did not elaborate on the efficiency of blockchain technology in cross-border payments. However, with its recent tie-up, it has given a hint. Ripple (XRP) is the best cryptocurrency performer among the top 10 cryptocurrencies. It has risen by almost 10%. It even hit a high of $ 0.3292. The move came after Swift announced that it would be tying up with R3, which is a blockchain Consortium. The upmove by Ripple is presumed by many to save its falling market share in the cross-border remittances market. It is a clear indication that blockchain might be a better solution for Swift as well as cross-border payments as compared to the traditional system on offer by Swift. Swift further elaborates that it will integrate its Global Payments Innovation Solution as the trading platform of the company. R3 is a consortium of blockchain-based companies. It allows you to initiate a payment for the trading transactions. That is why the move by swift is a clear validation of the blockchain technology. It has made it clear that blockchain technology is better as compared to the traditional system. 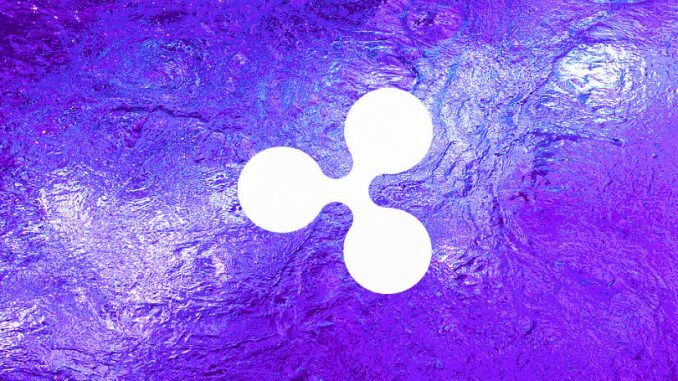 While time and again Ripple (XRP) has been saying the same but now that the competitor has validated the blockchain technology, Ripple (XRP) might gain a significant boost. Ever since the news came out, Ripple (XRP) is facing an impulse rise. It remains to be seen whether it can sustain the rally or not. If it can sustain the rally on an intraday basis, it might be the start of an up move. If that happens, it will gain even more attention from the investors. It has been consolidating around these levels for quite some time. That is why such a fundamental event can easily make it break the range on the higher side and rally higher. The good news is that it is fundamental news. It clearly indicates that the RippleNet products are much more efficient. As a result, in the near future, it might not be difficult for Ripple (XRP) to gain a higher market share in the cross-border payments market. When that happens, the XRP token will also increase significantly. Any usage of the latest RippleNet products can increase the demand of XRP token which will eventually give the investors a good return on their holdings. I am an avid crypto lover and a electronics & telecommunications engineer by qualification. I follow the cryptocurrency & blockchain industry closely to focus on the latest news & developments. Cryptocurrency Mining News – Will some countries adopt crypto mining on a national scale?